I used Americolor food gels for these: Sky Blue, Sky Blue mixed with Royal Blue, and Sky Blue mixed with Teal. 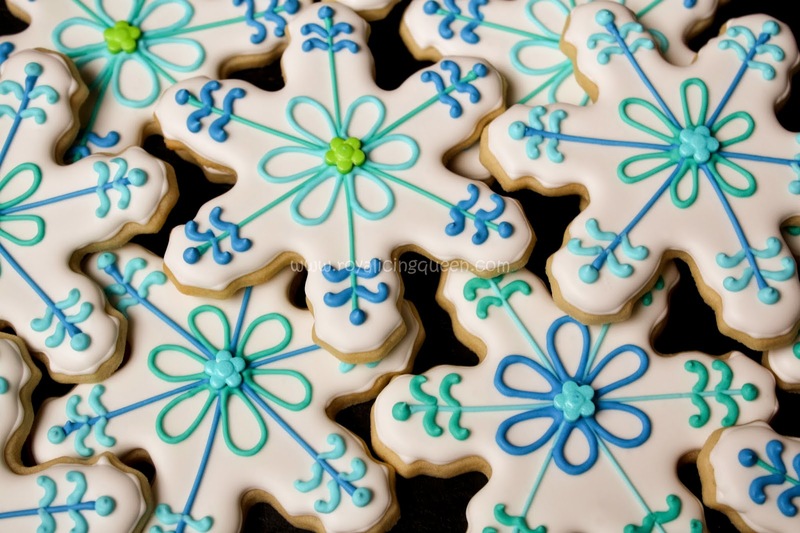 The little flowers in the center of the snowflakes are Wilton Daisy Sprinkles. 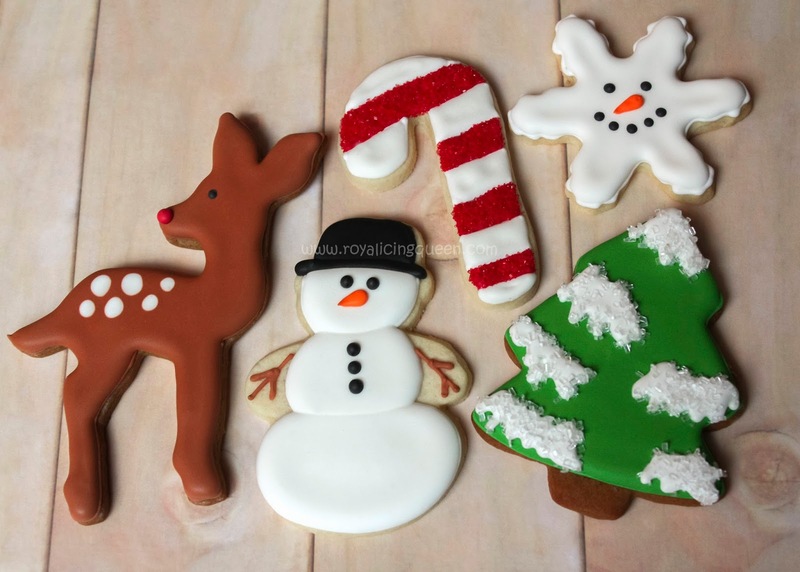 This time of the year tends to get very busy so I didn't make anything too complicated for Christmas cookies this year. I made the same snowman last year. I've made so many snowflakes that I wanted to do something a little different this year. This snowflake is something I saw on Pinterest and I thought it was incredibly cute. The bonus was it used the same colors and consistency frosting as the snowmen so I didn't need to mix any additional colors.